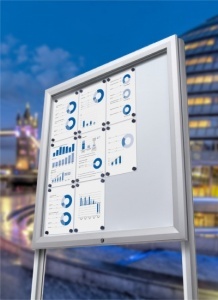 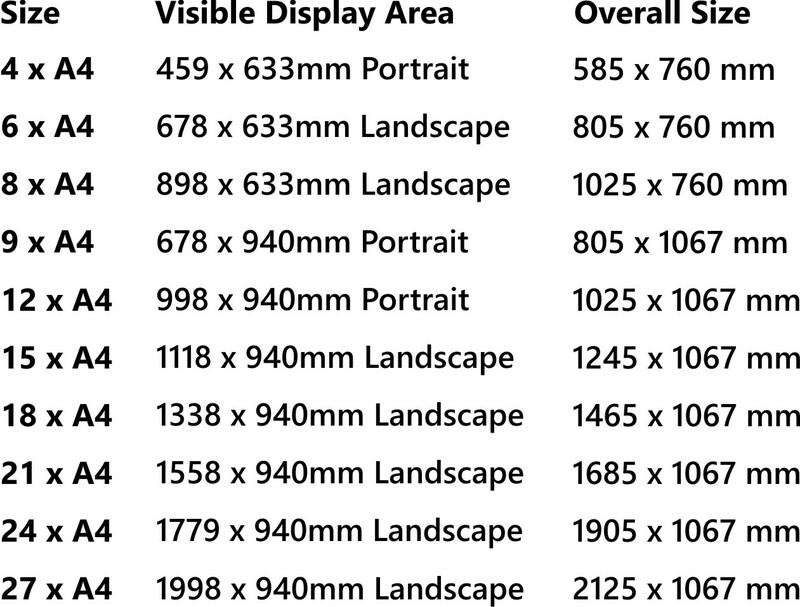 Available in 10 popular frame sizes our Premium Post Mounted Magnetic Noticeboard has a heavy duty silver anodised overclosing frame with a lacquered steel anti-corrosive dry wipe back panel. 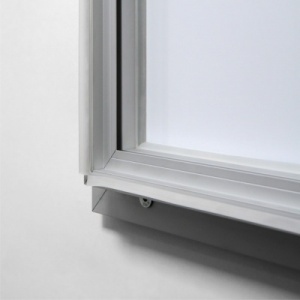 The top hinged overclosing door is lockable and comes fitted with 4mm toughened safety glass. 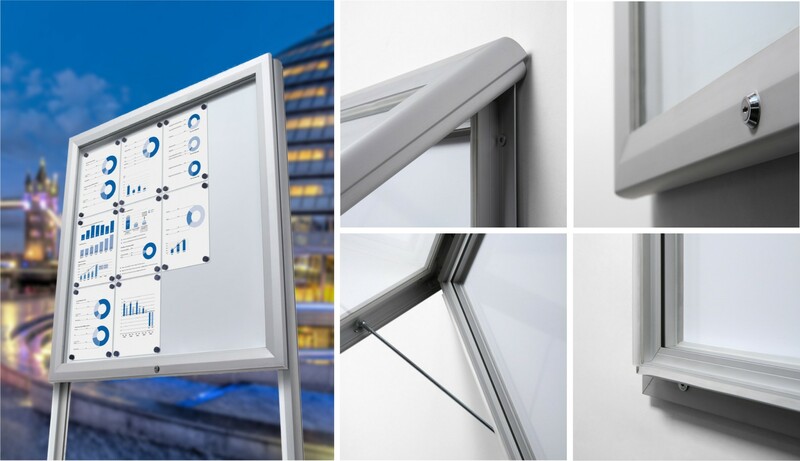 This notice board boasts 3 silicone gaskets for a weather resistant finish and IP56 certification. 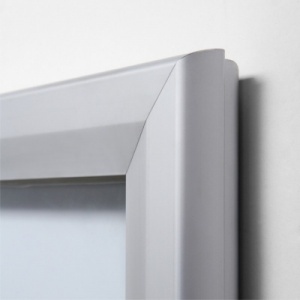 The lacquered steel back wall is suitable for use with dry wipe marker pens and magnets. 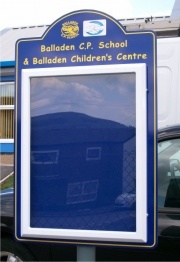 The notice board comes supplied with 2 keys and a choice of post fixings. 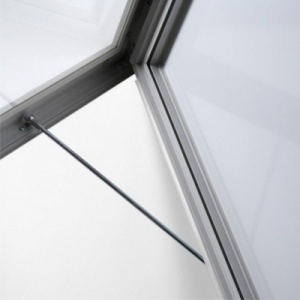 Sizes 12 x A4 and above have a gas strut opening mechanism fitted as standard and all smaller sizes with a steel support bar. 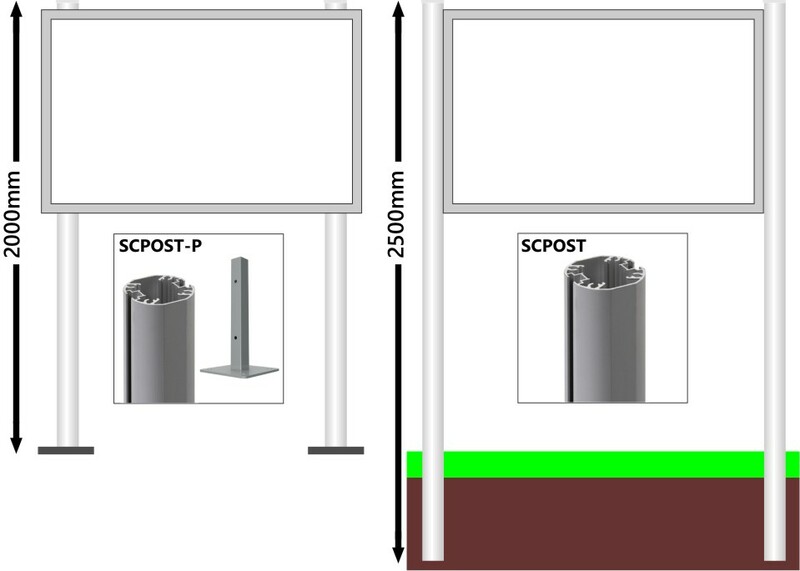 Each Noticeboard comes with a choice of either surface mounting posts with a 200 mm square welded base plate for bolting to the ground (SCPOST-P - 2,000mm length posts) or 2,500mm posts (SCPOST) for insertion directly into the ground. 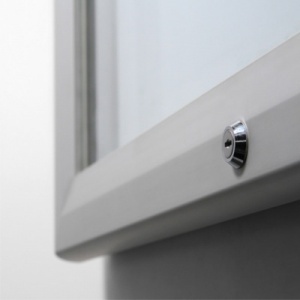 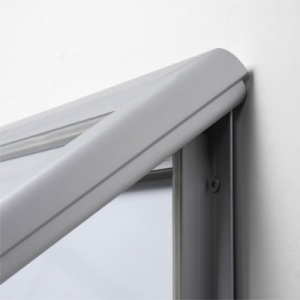 Both post options give you an overall finished height of 2,000mm.